Well, it is time for the archaeologists to return to the Village and elsewhere at Fort Vancouver. 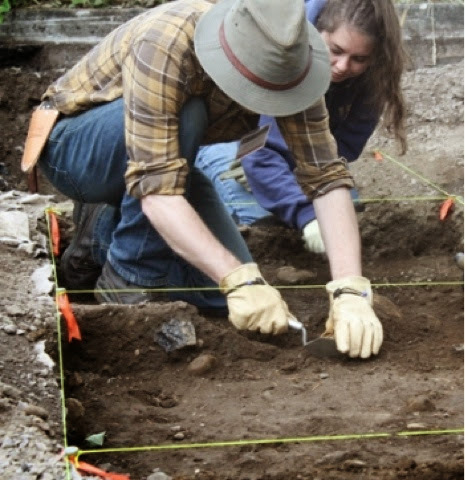 This summer, Portland State University, Washington State University Vancouver, and the National Park Service will be conducting its 13th field school in historical archaeology at Fort Vancouver National Historic Site. Students in the field school will work with Park Service archaeologists to conduct archaeological excavations throughout the park. Students will be primarily working in two areas. Teams of student archaeologists will be returning to work in the area to the west of the fort that was once the site of the Hudson's Bay Company Village. This area was a densely populated and ethnically diverse neighborhood made up of employees of Fort Vancouver. Excavations will focus on the sites of two Village houses: the house of Little Proulx, a French-Canadian fur trader, and the house of William Kaulehelehe, a Hawaiian educator who served the fort's Hawaiian population. Later, this area was the site of the U.S. Army's Quartermaster's Depot, part of the World War I Spruce Mill, which cut aviation-grade spruce for America's war effort, and a barracks and training compound for the Civilian Conservation Corps (CCC). Another team of students will be working on the Vancouver Barracks Parade Ground, excavating the site of the historic post's flag staff. A recent study that I put together with Dr. Elizabeth Horton, a National Park Service Archaeologist who recently completed her doctoral dissertation on the historical archaeology of the soldiers and their families at Vancouver Barracks, has identified the location of the 1854-1879 flag staff, which will be the subject of this year's explorations. As Dr. Horton has written, "The colors, or flag, that flew from the post's flag staff was a tangible object that served as a visual reminder of the common group identity of the soldiers on the post. It was a highly significant and symbolic location for the post. All of the early U.S. maps of the post and region measured from the flag staff." From 9:00 AM to 4:00 PM Tuesday through Saturday, June 24-August 2, the dig sites will be accessible to the public. Members of the public are invited to visit the dig sites and talk with archaeologists and students about this year's finds. Stay tuned for more updates as the excavations unfold for 2014!